NO PREP, PRINT & GO! 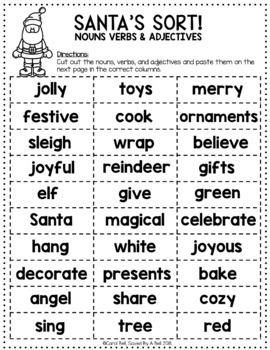 CHRISTMAS WORKSHEETS! 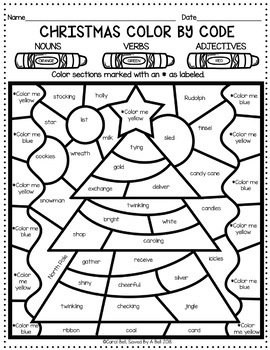 Need some fun Christmas worksheets to keep kids engaged on hectic days before a school break? 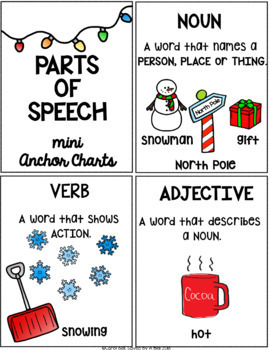 These Parts of Speech worksheets are perfect for just that! Kids practice identifying Christmas nouns, verbs, & adjectives with super engaging sorting and color by code activities.